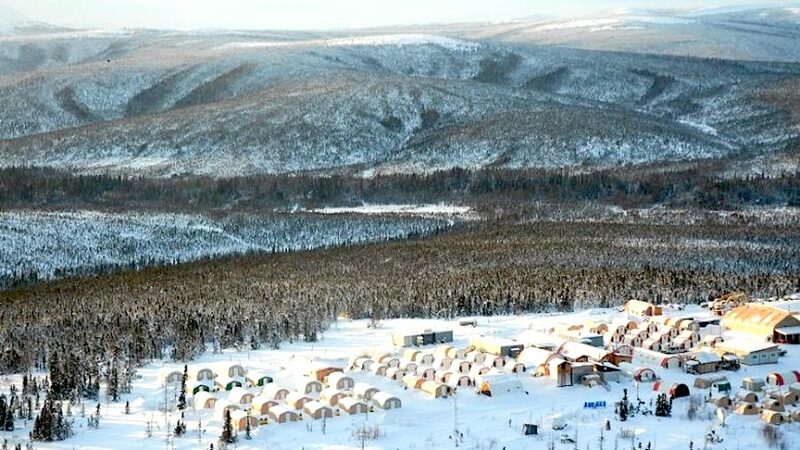 Shares in NovaGold Resources (TSX: NG) got a boost Tuesday morning after the miner said that 2017 drilling results for its flagship Donlin project in Alaska, which is being developed in a 50-50 partnership with Barrick Gold (TSX, NYSE:ABX), unveiled higher gold grades than predicted by previous modeling. After completing a total of 16 core holes, the Canadian miner said it Intercepted distinct significant high-grade zones in multiple areas, including some where relatively little drilling had been previously done. “Donlin Gold’s latest drill results are better than expected, further demonstrating the incredibly robust quality of this exceptional project,” NovaGold’s President and Chief Executive Officer, Greg Lang, said in the statement. “Beyond the distinctly significant high-grade intercepts encountered within the reserve pit, we are also excited by the high grades identified outside the planned pit boundaries,” Lang noted. “The results are further evidence of the significant potential of this deposit,” Barrick President Kelvin Dushnisky added. The companies said the results would be incorporated in the upcoming project optimization work being carried out by both. The Donlin project, located in the historic Kuskokwim Gold Belt of Southwest Alaska, is in fact regarded to be one of the world’s largest, highest grade, known gold deposits, containing 39 million ounces of gold in the measured and indicated (M&I) resource categories. It’s located in a safe jurisdiction, which also happens to be the second largest gold producing state in the US. The project, however, has yet to receive its ultimate permits, though NovaGold and Barrick said they expect the U.S. Army Corps of Engineers, which is lead federal permitting agency, to issue a final Environmental Impact Statement (EIS) in the second half of 2018. Novagold’s shares were trading slightly up (+0.20%) in Toronto at 10:16 AM.